In 1909, the first Model-T Ford rolled off the assembly lines. In 1913, amid complaints about the lack of variety in car color (they were all black), Henry Ford made the following statement: “The customer can have any color he wants, so long as it’s black.” And that is how it stayed for 13 more years, until, in 1926, two more colors were introduced, dark green and maroon. Only one year later, in 1927, black had become so unpopular, that it was available by special order only. Then on June 1, 1927, car number 15,007,033 was the last Model-T Ford to be built. Now, over 100 years after the first Model T Ford was built, there is a vast array of not only colors, but also shapes and sizes. And when you drive around the streets, even if you go to places like Chicago where there are millions of cars, it is very rare to see two cars that are identical. And even if you do see two that look identical on the outside, you can be almost certain that they have different options or cleanliness on the inside. Aren’t you glad things have changed? Aren’t you glad you can pick a color for your car? Aren’t you glad you can pick the kind of car you want, whether it’s a VW bug, a sports car, a station wagon, a minivan, a pick-up, an SUV, or even a Hummer? Aren’t you glad there is variety? No longer is there only one model of car that comes in only one color. But even with all the variety, cars still have a lot in common, right? For example, a car has to have at least three wheels (some cars I’ve seen on TV from the 60’s only had three, some semi’s have 18, and any vehicle with less than three is a motorcycle or a bicycle). A mode of transportation without wheels is a boat. So cars have to have at least three wheels. Also, all cars have doors. Sometimes the doors don’t work, but if you there are not doors, then you don’t have a car. Maybe a boat, or a sled or something. Again, all cars have some sort of energy source (gas or you can get ones with electricity now). Another thing all cars have in common is that they all provide transportation. Some cars sit and rust in empty lots, so they are not providing transportation, but they did at one point. Cars also require someone to operate them. Someone to start them, and steer them and stop them. So all cars, no matter what shape, size or color, have tires, doors, energy source, driver, these are a few of the essential ingredients that make up a car. No matter what color it is, or how big it is, or fast it goes, these are the things that all cars have in common. Why am I talking about this? Because the wide diversity in cars illustrates the wide diversity in the church. When it comes to the church of the 21st century, there are many Christian who think that it is a flaw in the church to have so many different denominations and so many different churches. Well, I think you will discover when reading Acts and reading Paul’s letters to the various churches that no all the NT churches were not similar. In fact, many of them were worse off than churches today. So they were not all the same. But even if they were, just for the sake of argument even if they were, we would not more want to go back to be like them any more than we would want to go back to 1907 when all the car-lots were filled with only black Model-T Fords. And I don’t exactly know what the church will be like in heaven (and I don’t believe Scripture really tells us). But I do know what the church is like now, with all of its diversity. With all of it’s denominations. With all of it’s differences. And I don’t think it’s a bad thing at all. There is variety in churches just like there is a variety in cars. I personally am thankful that there is so much diversity. It keeps things interesting. It keeps things exciting. I mean, think of cars again. If the government decided to make only one style and color of car available from now on, which car would you want it to be and in which color? In this room alone, there are probably just as many different ideas as there are people. Similarly, if God decided to make all churches look identical, which sort of church do you think it would be? I personally would want it to be like this church. We have a strong emphasis on studying the Word of God, we have good quality music, we are family oriented, we are caring and loving with each other. We’re not so big that people get lost in the crowd. We are not too traditional in the sense that I’m not wearing robes up here, and we’re not reciting a lot of liturgy. At the same time, we’re not so contemporary that it’s hard to tell we even are a church. If God only had one pattern of church, I would want it to be like ours. I would want it to be a church where the main focus on Sunday morning is God and His Word. What is more important than that? But I guarantee you that not everyone would agree with me. And you know what? That’s OK! The amazing thing about Christ’s church is that we can all be so diverse, yet we can all still be part of the church! Just like all cars must have wheels, doors, an energy source and a driver, all true churches must have a set of characteristics which identify it as a church. So maybe your asking, “Ok, Jeremy, what is this criteria? 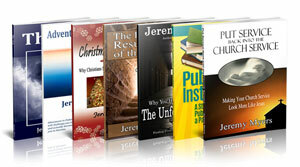 What are the characteristics a true church must have? Well, I’m glad you asked. Ephesians 4:4-6 lists the seven identifying characteristics of a true church. Seven elements by which all true churches can be identified. The seven characteristics in these verses are the seven identifying traits of all true churches of God. The interesting thing about these seven characteristics is that they form a chiasm. The first item on the list is parallel to the seventh, the second is parallel to the sixth, and so on. This means that the fourth item is the center item and therefore the most important. What is that fourth item? It is the Lord Jesus Christ. The most important thing in the church is that we follow our Head, our Lord and Savior, Jesus Christ. As long as we keep our eyes fixed on Jesus, a lot of these other six characteristics of the church follow naturally. So let us look at each of the seven characteristics. The first is in Ephesians 4:4. This is the first element. One body. Paul means that there is one body of believers. One body of Christ. All people throughout time and around the world who are truly Christians are part of the body. The picture of a body is one of Paul’s favorite ways to describe the church. In 1 Corinthians 12, Paul goes into great detail to describe the body of Christ. Paul says there to think of your body. It is an incredibly diverse collection of body parts, but without any one member, the body is not complete. The body is not just a big pile of eyes, or a big pile of hands, or a big pile of feet. Similarly, a body without hands, or eyes, or feet, is not a complete body. All parts make up the body, and all parts are necessary if the body is going to function right. It is the same in the church. All parts make up Christ’s church, and all parts are necessary if the church is going to function right. We don’t criticize a foot for not being a hand. Nor do we criticize the ear for not being able see. Each part has a unique function, which is necessary for the body to work as a whole. So rather than criticize other people, or other churches, for not being like us, we should look at them as different members of our one body. See what is unique about them, and how they are using their unique talents to do things we cannot. This all gets into the issue of spiritual gifts, which Paul talks about in verse 11, so I won’t spoil it by saying more. 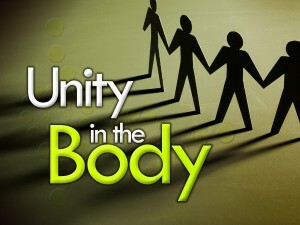 The first element of unity to focus on is that we are all part of the same body. Second, also from Ephesians 4:4, we all have one Spirit. Of course, this is the Holy Spirit who lives in each one of us. It is an error to say that some have the Spirit and others don’t. We all have the Spirit within us, and it is the same Spirit the Holy Spirit. 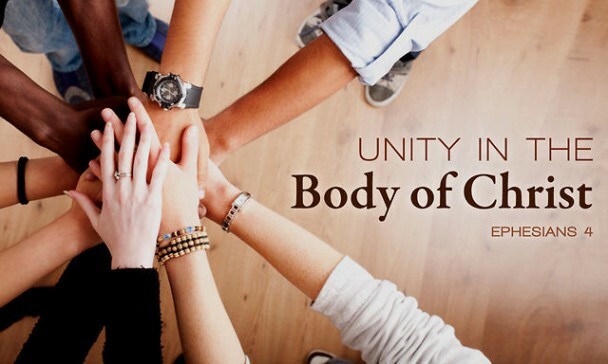 The Holy Spirit within each of us strives to get us all to live in unity with each other. When we fail, it is because we are walking according to the flesh, not according to the Spirit (Rom. 8:4-13). The third element for unity is one hope. The hope of every Christian is Jesus Christ who is in heaven. He has promised us that simply by believing in him for eternal life, He will bring us to heaven to spend eternity with him. Now most of us think of hope as a sort of “wishful thinking.” We tend to think of it as an uncertainty. But really, hope can have different levels or degrees of certainty. Let me show you what I mean. Uncertain hope is like saying “I hope I win the lottery, but I know I probably won’t. or “I hope the Raiders win the Super Bowl this year, and they probably will. But they might not.” Now I can also say, “I hope the sun comes up tomorrow,” and in that case, I am nearly 100% sure it will. So you can see that there are different degrees of certainty in hope. And what causes the difference? What makes one thing we hope for more certain than another? Well, in each case, what is the factor that changed? The only factor that changed is the object of your hope. The chances of you winning the lottery are not very likely. Someone once called the lottery a tax for the mathematically challenged. But still, people who buy tickets, hope they will win but very few do. My hope that the Raiders will win the Super Bowl next year is quite a bit more likely. But still, there is quite a bit of uncertainty. There are many other very good teams out there. Some of the key Raider players might get injured. The team might choke during a key play-off game like they did this past year. But nevertheless, I am hoping they go all the way. Again, my hope that the sun will rise tomorrow is an almost certain hope because the sun always rises in the morning. The only thing that could stop it from rising is if it blew up or if the earth stopped rotating. Neither of these things are very likely, so my hope that the sun will rise is a well grounded hope. Now the Christian’s hope is a hope in Jesus Christ. And since God does not and cannot lie, since Jesus always keeps His promises, our hope in Jesus Christ for eternal life is a certainty. There is no uncertainty because the object of our hope is completely trustworthy and reliable. Paul mentions also here something about a calling. This is the same calling we looked at extensively in Ephesians 1:18 and is related to why we were chosen, which we talked about in Ephesians 1:4. Basically, we were called, or chosen, to be holy and blameless, to be heirs of God and co-heirs with Christ, and to be adopted as children. These are all future blessings for the Christian when we get to heaven. So, thirdly, Paul’s point is that we all have hope in one person, Jesus Christ, in order to go to the same place, heaven, where we will all receive the same thing, an inheritance. We do not place our hope in any other person, but Jesus Christ. We do not place our hope in religious leaders or political leaders. Put no hope in popes, priests, pastors, or people with PH.D.s. Put no hope in kings and presidents. Our hope is in Jesus Christ alone. One body, one spirit, one hope, now, fourthly, in Ephesians 4:5, one Lord. This refers specifically to Jesus Christ. Paul choice of the term, Lord, shows us that Jesus Christ is God, and therefore, our Master. Now think about it. If we all have the same Lord, the same Master, we will not be getting orders from our Master to be in disagreement with each other. His commands will not contradict or cause disunity among his servants. So the only way disunity occurs is when we disobey our Lord and Master, Jesus Christ. Fifth, we have one faith. All Christians have been saved in one way only through faith. We’ve all entered through the narrow door of faith. There are not some who are Christians because they were really good people, and others who are Christians because they were born into a Christian family. No. All true Christians are Christians by faith alone. This is a wonderful element to cause unity, because since we are all Christians by faith, then no one can boast in themselves for their salvation. I cannot look down on you because I became a Christian by being such a good person, and you well, you just had to enter by faith. No, we all came in, as beggars, asking for something we did not earn, getting something we did not deserve. Faith makes Christianity a level playing field. Sixth, we all have one baptism. The baptism Paul is talking about here is the baptism of the Spirit; not water baptism. It is not something we are to pray for or something that happens to us after our conversion. When you become a Christian by believing in Jesus for eternal life, one of the first things that happens to you is the Holy Spirit comes in and lives with in you, and in that moment, He washes you, He cleanses you, He purifies you of all sin, and provides us with the power to have victory over future sin. This is the baptism of the Spirit which all Christians have. We’ve seen six elements, the seventh is found in Ephesians 4:6. Paul says God is above all, and through all, and in you all. Paul has been mentioning the essentials. He’s mentioned that we all one body, through one faith and one baptism. We have one Lord, who is Jesus Christ and one Spirit, who is the Holy Spirit. He now includes the final member of the Trinity, one God and Father of all. In Old Testament times, it was the common belief that the gods were territorial. Each nation, and sometimes, each clan or tribe within that nation, had it’s own god. So when nation battled nation, it was really a contest between gods. Paul reminds the Jewish and Gentile Christians in the Greek city of Ephesus that this is a bunch of hogwash. There is one God and Father of all. They both have the same God. They do not worship different gods. They do not follow commands from different gods. It is the same God. The fact that He is the Father of all tells us about his love. He created all, and He cares for all just as a Father cares for his children. The fact that he is above all speaks of His control. No matter what things may look like, God is in control. [transcendence and His omnipotence.] The fact that He is through all speaks of His care and providence. He didn’t just set up the world and leave then leave it alone. He is still involved and active in what He made protecting and providing. [immanence and His omnipresence.] The fact that He is in you all speaks of His presence. He is always near us, and wanting a deeper relationship with us. [indwelling presence and personal relationship with us all.] He is the One God and Father of all. Those are the seven elements. One body, one Spirit, one hope, one Lord, one faith, one baptism, one God and Father. These are the seven identifying characteristics of true Churches. So, if a group, or a church denies any one of these, by maybe saying that they are the only church going to heaven, or by saying that they hope in good works along with Jesus Christ, or by denying the three members of the Trinity as we saw here, or by denying that there is only one God and Father, then we can safely assume that they are not a true church. But for all who agree on these seven things, we can assume that they are a true church. These are the things all Christians have in common. These are things that identify us as brethren. But Paul, in writing this, was not simply trying to give criteria to help us determine true churches from false churches. 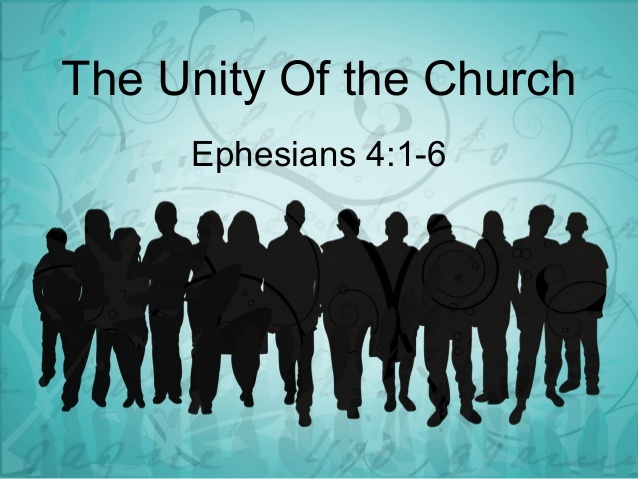 We are in a section of Ephesians where Paul is calling us to walk in Unity. Ephesians 4:1-16 is how to Walk in Unity. And just like any walk is made up of individual steps, Paul is giving us several steps to Walk in Unity with one another. Today in our day, he would have said, “You might have disagreements about what kind of music should be played or sung in church. You might have disagreements about how best to run the church. You might have disagreements about when meet, and how long to meet, and what to do when you meet. You might have disagreements about what to wear, and what people can or cannot drink, and what people can or cannot eat and what sort of activities you can or cannot do. We might have disagreements of theology and doctrine. But don’t focus on those things. They will always divide you. Focus instead on what you have in common. One of the best methods of keeping the peace, of keeping unified, is to stop focusing on how different you are, and to focus instead on the similarities. That’s what Paul does here. “You’re not different,” he says, “look what you have in common!” He lists seven elements of unity here. These are the things that really matter. This are the things that will unite us when there are so many things that can divide us. That’s what happens when we let silly things like the name of a church get in the way of what is important and what really matters. Paul lists here what really matters. As long as we agree on these things, we can agree to disagree on all the others. We can be as diverse as we want. We can have Lutherans and Methodists and Baptists and Pentecostals. We can even get together and have friendly arguments about some of the things that we disagree on. That’s fine. As long as we agree on the essentials as listed here, we all one body; we’re all one family. But if a certain organization claims to be a church and they deny any of these, that is when you know that they are not part of the family. That is when you stop associating with them and start witnessing to them. 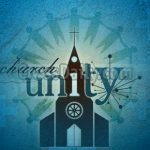 While Paul is talking primarily about developing unity within the church, these same principles can be applied to all of our relationships. If you desire to have unity with your spouse, or your kids, or your boss, or a coworker, or a neighbor, the first thing to do, from Ephesians 4:1-3, is to check your own attitude. It is just as Jesus taught his disciples take the log out of your own eye first. But if you have done that, are you then able to go and show your neighbor his or her fault? If, in checking your attitudes, you have seen where you went wrong, and how you caused some of the disunity, are you then in the clear to go and show your spouse, or your coworker, or your fellow Christian his or her faults where they went wrong? Paul answered that for us today in Ephesians 4:4-6. If you have taken the first step toward unity in checking your own attitude, then the next step is to focus on the things you have in common. Don’t focus on your differences. Focus on what makes you the same. If you focus only on your differences, there will never be peace. A humorous story sums this up. Some years ago, the elders of a Dutch church decided to send some people over to America to check up on the moral condition of the churches here. The observers were horrified. They reported to the Dutch elders that American women wore makeup and wore expensive clothes. The Americans also drove big cars, had carpets in the sanctuaries, and had both a piano and an organ! As the Dutch elders heard this report, some of them burst into tears, and the tears ran down their cigars and into their beer. Let’s not focus on what divides us. Let’s focus on the unity we have in Christ.